Bite Guards - Alan Ferguson D.D.S., P.L.C. A sport bite guard is used for athletes in contact sports. With stress and exertion, jaw clenching is common. With a specially fitted sport bite guard, athletes with TMJ reduce the chance of making their condition worse. 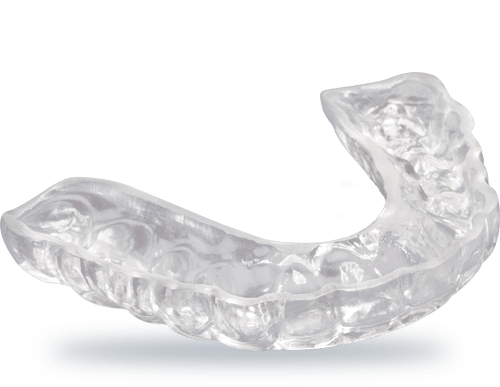 We can fit you with a night guard that will prevent grinding your teeth (known as “bruxism”) during your sleep. This guard, a plastic or resin appliance that is held between your teeth helps minimize damage to your teeth and can reduce headache or jaw pain caused by bruxism. Store bought night guards are not custom designed to your mouth and could cause damage to your jaw joint (TMJ).